This special handmade silver ring is designed for you to be different! 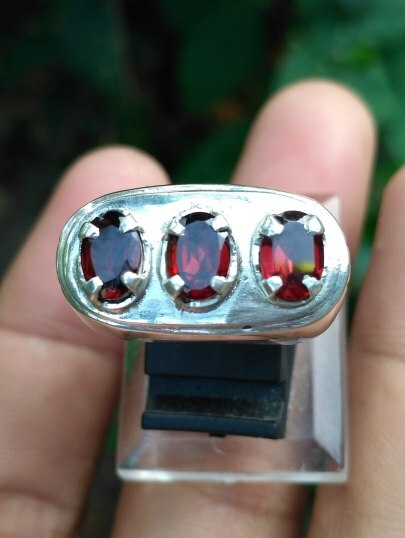 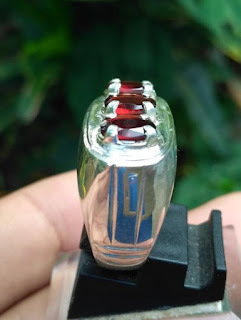 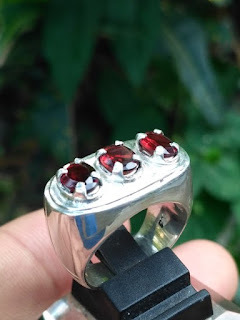 Mounted on top are 3 lustrous natural Garnet, sized (est) 7mm x 5mm x 2mm. 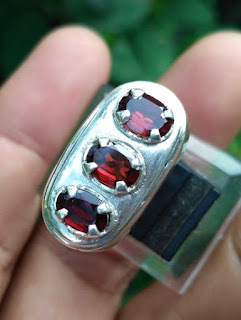 The ring size is 18mm. 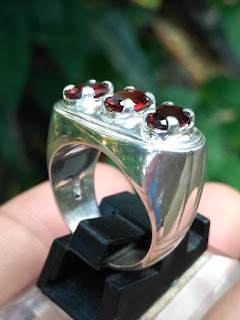 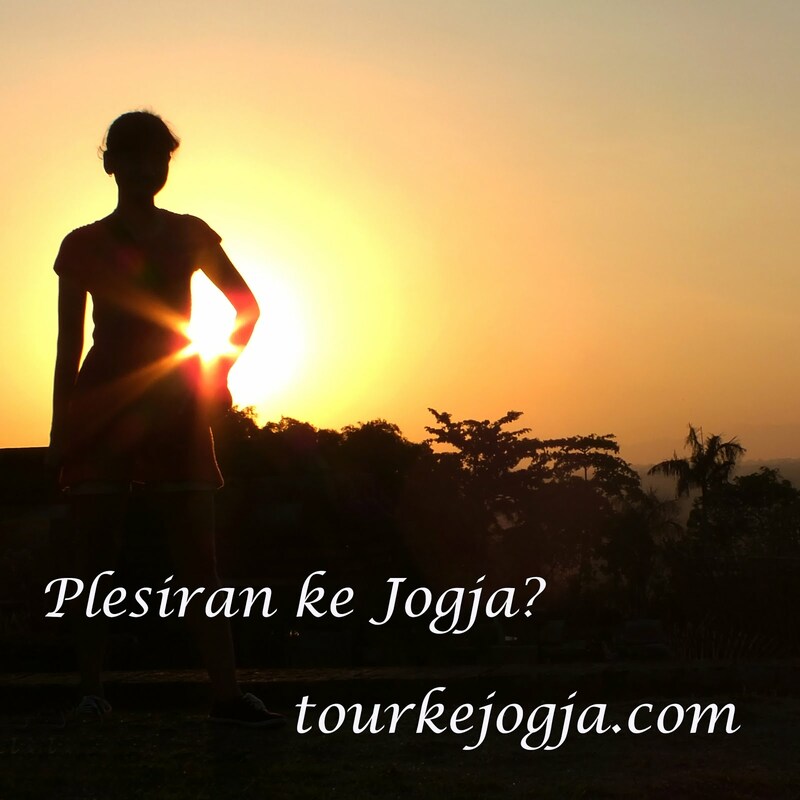 This silver ring was made by young talented silversmith from the silver city, Kota Gedhe, Jogjakarta.